Obsessive-Compulsive Disorder Gets An Inside-Out Look In Novel By John Green : Shots - Health News "It starts out with one little thought, and then slowly that becomes the only thought that you're able to have," Green says. His new novel, Turtles All The Way Down, is about a teenage girl with OCD. The teen protagonist in John Green's latest novel, Turtles All The Way Down, has a type of anxiety disorder that sends her into fearful "thought spirals" of bacterial infection and death. As someone who lives with obsessive-compulsive disorder, novelist John Green sometimes feels like his mind is spiraling uncontrollably. "It starts out with one little thought, and then slowly that becomes the only thought that you're able to have," Green says. "It's like there's an invasive weed that just spreads out of control." Even the idea of having OCD becomes all consuming: "I get afraid of having an illness or having some kind of contamination inside of my body," Green says, "and then I become unable to stop thinking about that." His 2012 novel, The Fault in Our Stars, was a best seller that led to a popular film about a relationship between two teenagers with cancer. After that book came out, he fell into a period of poor mental health that affected his writing. 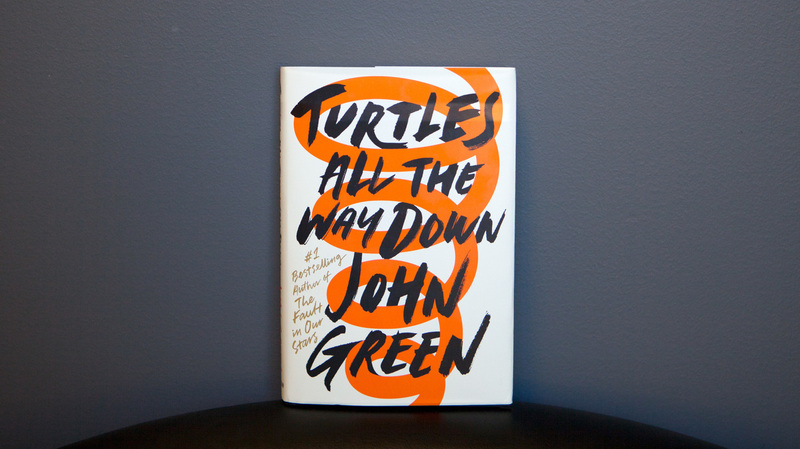 His new novel, Turtles All The Way Down, is about a 16-year-old girl named Aza who has OCD. Green says he didn't intend to create a character with OCD, but he also felt he had little choice in the matter: "I couldn't write about anything else. ... I have OCD and it is a really important part of my life, and at times it is a disabling part of my life. But I also have a really wonderful, fulfilling life." 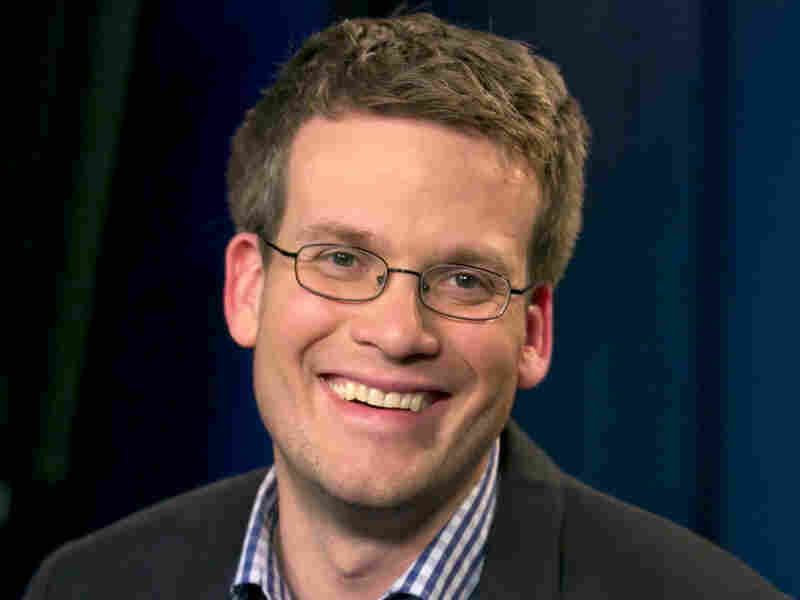 John Green's previous books include The Fault in Our Stars and Paper Towns. Partly because I can relate to it. I needed a place where I could make a connection with Aza in order to write about her, I think, and I've long had a fear of contamination from microorganisms. That's long been one of the kind of focuses of my particular version of obsessive compulsive disorder, and so I think that was partly it. But also it's something that we live with all the time. It's something that surrounds us. In a way, bacteria are overwhelming us. We are the dominant species on the planet — until and unless you start to consider bacteria. And that's part of what makes it so frightening to her, is that once she's in it, it doesn't feel like a thought spiral — it just feels like thought. It just feels like the way of the world. ... It's really terrifying. It's also really isolating for her because she struggles to be able to describe it with language. She struggles for the words that would help other people understand what she's going through. I guess the sort of dominant form it has taken in my life is that I get worried ... of having an illness or having some kind of contamination inside of my body — and then I become unable to stop thinking about that, and the worry begins to consume me. And in the face of that you develop, or I developed, compulsive behaviors to try to manage that and deal with that. But for me there's a reason the "O" comes first in OCD. In the popular imagination we always see people doing their compulsive behaviors — because they're so visual and they're often so strange and eccentric. For me it's the problem of my thoughts — that is the problem. The compulsive behaviors are a way of trying to manage the overwhelming fear that the obsessiveness causes me. It has definitely affected my real life relationships over the years in profound ways. I also wanted Aza to struggle with her ability to observe the world outside of herself. Because I think that is true to my experience, and it is not true to the kind of narrative of the obsessive detective that we have in the popular imagination. Obsessiveness is often linked to this genius of observation that just is not my experience at all. I find that my OCD makes me a terrible detective ... because I can't notice the world outside of myself in a way that I want to, because I'm so deeply and irrationally focused on stuff that's happening within me. One of the things I like about teen characters is that they're grappling with the questions around death, and the problems that death creates for the first time that's sort of separate from their parents. And so they're asking, "Is there an afterlife? And what are the implications for what we think of the afterlife?" And they're asking like, "Is meaning in human life changed by the fact of death?" I'm still really interested in those questions and I like the way they approach them, like there's a lack of irony and a passion for those questions that I found really appealing when I was a teenager and I still find really appealing. Esther was just uncommonly empathetic. I don't know that that was because she was sick. I think it was partly because ... some people are just extraordinary. She was incredibly — in the same way that Aza can't pay attention to the world outside of herself — Esther was extremely tuned in to the world outside of herself. The other question, I guess, that emerged for me in the wake of Esther's death was whether a short life can still be a good and a fulfilling life. And I needed to feel like it could be. I needed to feel like Esther had had a good life. And I wrote the book in some ways I think in that hope, almost like a prayer, that a short life can still be a good life. ... I don't know that writing the book convinced me, but I do believe that.